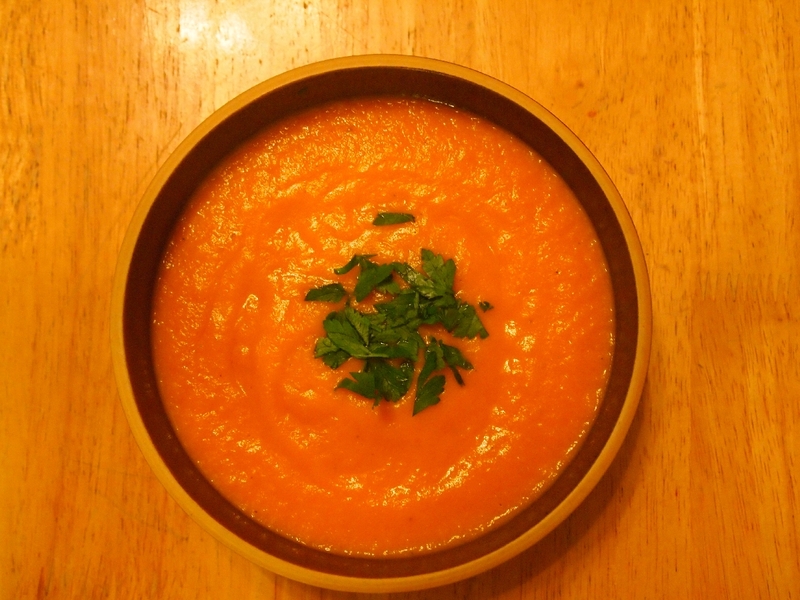 This vegan take on a Peruvian crema (creamed vegetable soup) uses fresh carrots, scrumptious herbs, and a potato for added texture. 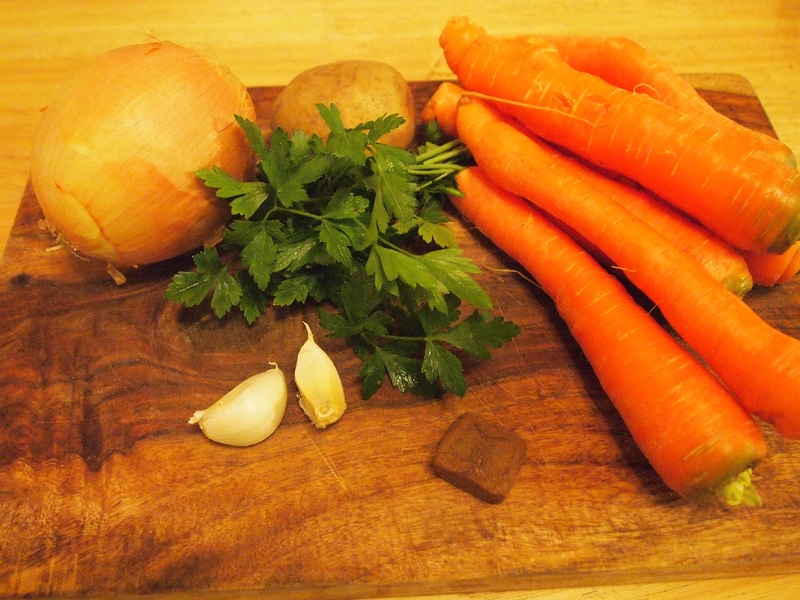 Bring the carrots and potatoes to a boil in a medium pot. Continue to cook until the vegetables are fork tender. 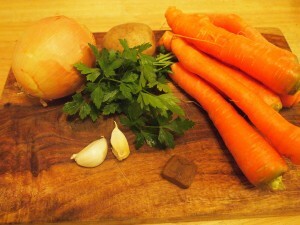 Once the vegetables are soft transfer them and 2 cups of the cooking liquid to a blender along with the bouillon cube. Combine until smooth then set aside. Saute the onion and garlic in a large pot until the onions are translucent. Once the onions have sauteed, transfer them to the blender and liquify. Season with salt and pepper to taste. Serve hot garnished with parsley.